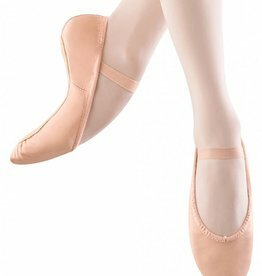 Footwear for Ballet, Pointe and more! Dance shoes are the equipment dancers need to perform. 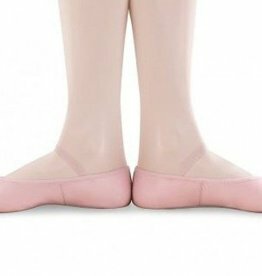 They are an extension of the dancer's foot and in most cases need to follow the shape and contour of the foot so that a dancer can express their footwork with ease and clarity. 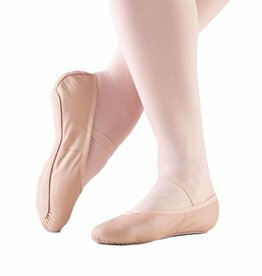 Ballet, jazz and contemporary dance shoes be form fitting and will stretch with proper wear to conform to the dancer's foot beautifully. Pointe shoes require a proper shoe fitting as they need to support the foot for the dancer's safety. They are a specialty piece of equipment which should be fit by a qualified dance store fitter. Tap, hip hop, cheer and ballroom shoes all serve specific functions for the dancer. There are several styles available and usually depend on the dancer's preference. 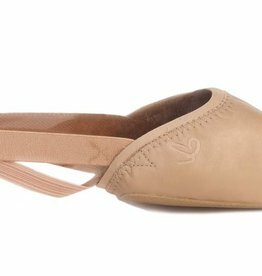 Full sole leather ballet shoe by Bloch is a classic shoe used for ballet class and provide the proper fit and form for a dancer to feel the floor. 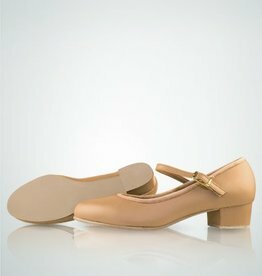 A great beginner shoe as leather provides support and a traditional feel for the dancer.